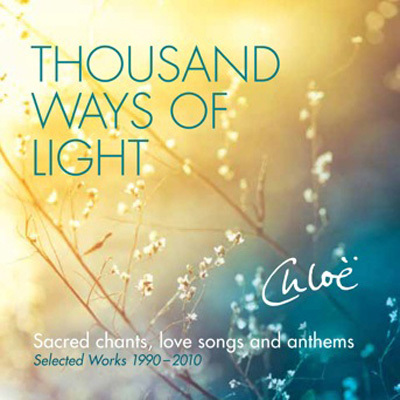 "This album brings together some of my most favourite sound, song and chant recordings, composed and remixed from some of my solo CDs: Inner Heat, Naked Voice, Devi, Sura, Fierce Wisdom, and Singing Field. My profound gratitude to David Lord, whose orchestral arrangements and exquisite sound production have graced most of my solo album repertoire for the last fifteen years." "My Blackfeet medicine friends from Montana USA, tell me that “to be a true sound healer you have to have at least a hundred and twenty healing songs in your bag”. This selection of my love songs chants and anthems are a humble offering to our children and our world leaders, for the evolution of sound healing and the revelation of true or sound values at every level of human life. As we each learn to reach into the depths of our own heart song to unearth and redeem our lost wisdom, we are simultaneously contributing to the unification of this Earth, Gaia. A new sound is calling to be created, and with it a resonance of life, and a language of listening that has the power to overcome material poverty, transforming the spiritual crisis we face, elevating the human spirit across the globe, and creating Singing Fields – all inclusive meeting places for deep listening and shared presence through sound, chant, poetry & love song. It is my destiny and my privilege to share this essential musical journey with all who choose to participate in this wondrous process, guided and supported by the mind-shattering power that calls us home to the source of all sound, silence. In this place, loving kindness is the only reality."